The Westpac Life Saver Rescue Helicopter was called to a chainsaw accident near Tenterfield. A WOMAN in her 70s has been taken to hospital after she was hurt in a chainsaw accident. The Westpac Life Saver Rescue Helicopter was yesterday called to the incident at Mole River near Tenterfield. A spokesman from the rescue chopper said local paramedics and the critical care medical team treated a woman in her 70s for injuries. 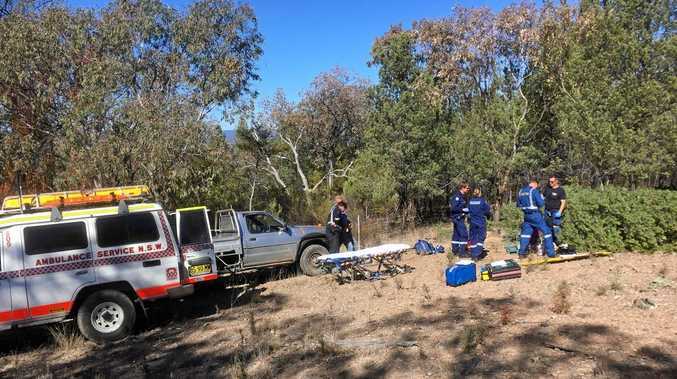 The woman was transported to Lismore Base Hospital in a stable condition.